Since 1986 EIN has had the privilege of interviewing many members of Elvis's Memphis Mafia. In this compilation interview we've pieced together some of the most memorable questions and answers by several Memphis Mafia members. The interviewees are Charlie Hodge, Joe Esposito, Jerry Schilling and George Klein. The interviewer was Nigel Patterson, President, Elvis Information Network. About the interviews: Charlie Hodge spent an hour with me over coffee at Graceland Plaza early one morning, George Klein invited myself and another fan club member to his disco, In Cahoots (and there's a real story about that night) while I enjoyed a twenty minute discussion with Jerry Schilling before a dinner-concert at the great Memphis seafood restaurant, Captain Bilbo's. Joe Esposito was interviewed earlier this year in Canberra as part of his tour with Australian tribute artist, Mick Gerace. EIN: Charlie, in your book 'Me 'n' Elvis', you tell some very funny stories about your time with Elvis. I remember one incident involving TV's The Rifleman, Chuck Connors. Can you tell us about that incident? CH: That was a funny night. Elvis was appearing in Vegas and after a great show one night Chuck Connors came thundering into Elvis's suite. Now Chuck is a really big man, about 6'4" and he just towered over us all. When he spotted Elvis he starting cursing, "Elvis you're not a 'bleep, bleep' star. You're a 'bleep, bleep' galaxy! It broke us all up and Elvis was in hysterics. EIN: What other moments do you remember? CH: There's a story I tell in my book about Elvis's cousin. She was real beautiful and often came to see Elvis perform. One night the audience took to throwing teddy bears on to the stage. Well Elvis decided to start throwing the bears back into the audience. He picked one up and threw it. It hit his cousin on the head and knocked off her wig. She looked real funny. It cracked everyone up in the showroom. There was a sad ending though. Not long after Elvis received a phone call to tell him his beautiful cousin had died. It hit him really hard. EIN: Joe, you are one of a select few who has worked as Tour Manager for two of the world's biggest superstars, Elvis and Michael Jackson. What was it like working with 'The King of Pop'? JE: Working with Michael Jackson was very different to working with Elvis. I didn't actually tour with Michael but I did the up-front arrangements. Michael's tour involved 18 months and there would have been a lot of time twiddling my thumbs in hotel rooms as Michael only performs three times a week. As my son had just been born, I asked if I could fly home every couple of weeks to be with my family but his policy was that no one left the tour. I think he was concerned that something might happen, they wouldn't return, leaving him with a problem. I didn't want to leave my family for long periods as I had done during my time with Elvis when my two daughters were growing up. 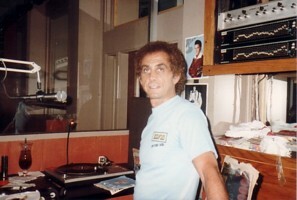 EIN: Your first book, Good Rockin' Tonight, was a really interesting and positive tribute to Elvis. Have you any plans to re-release it? JE: Good Rockin' Tonight has been out of print for a few years now and I'm interested in re-issuing it in an expanded version. My original manuscript was 500 pages but Simon & Schuster released it as 250 pages. There are a lot more interesting things in the manuscript including things beyond Elvis's death in 1977. EIN: Jerry, we've read that the Bodyguard book, Elvis: What Happened?' really affected Elvis. What can you tell me about his reaction to it? JS: Elvis and I talked about the book. The thing that hurt Elvis the most was that it was his friends who betrayed him. A lot of negative things had been written about him before but it was that the guys who had been with him for so many years would do it that really hurt him. It dented his pride in a big way. And he was very concerned for Lisa Marie and his father, Vernon. He didn't want them to be hurt. EIN: You are a very good friend of Priscilla's. How did your friendship develop and do you still see her and Lisa? JS: Priscilla and I hit it off pretty much from the first time we met. We had a rapport and found it easy to talk to each other. A lot of us formed close friendships. We spent so much time together at Graceland or in Hollywood. I have incredible respect for Priscilla. And yes, we see each other from time to time. EIN: Jerry, you obviously enjoyed some great holidays with Elvis. What are your fondest memories? JS: Oh yes, we had some fantastic times. Elvis loved all types of things so whether it was having snowball fights or lounging around a pool we always had a lot of fun. At night Elvis would try to catch the shows of other stars. Sometimes he'd be recognised and pandemonium would ensue. We went to a lot of great places - Palm Springs, Vegas, even the Bahamas. Hawaii was Elvis' favorite place to holiday. EIN: Since Elvis died you've been involved with many big name stars. Have you ever been to Australia? JS: Yes, I managed The Beach Boys when they toured Australia. One of the cities we played was your home town, Canberra. Australia is a beautiful country and I'd like to visit again. The people were very friendly and the band had a great time. EIN: Charlie, during the Hollywood years you guys had a lot of fun, joking around and playing practical jokes on each other and the rest of the cast and crew. But there were also more serious times. Most fans are aware of the lighthearted moments but not the other times. What can you tell us about them? CH: I remember when Elvis was filming Charro. He was really taken with the script. It had a hard edge and was very different to the fluffy films he had been making. There was a lot of violence in it. As shooting went on there were more and more changes to the script, the violence was taken out. 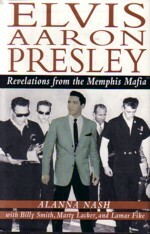 Elvis finally confronted the director, Charles Marcus Warren. Mr Warren told him that the studio had changed its mind, there was a lot of concern about the level of violence in films and on TV and they wanted it toned down. I remember Elvis wasn't happy about this and he passed a comment that the studio must have wanted a 'milktoast' western. It was another time that with the right script Elvis could have achieved what he wanted, to be regarded as a serious actor. GK: Elvis's generosity and kindness. When you had Elvis as a friend you had a real friend, a friend for life. There wasn't anything he wouldn't do for you. And he helped all of us out at one time or another. You could have an argument with Elvis but when the chips were down he was always your friend. Man, his loyalty to you was special.